Date of Construction before 1896 AD. AD. 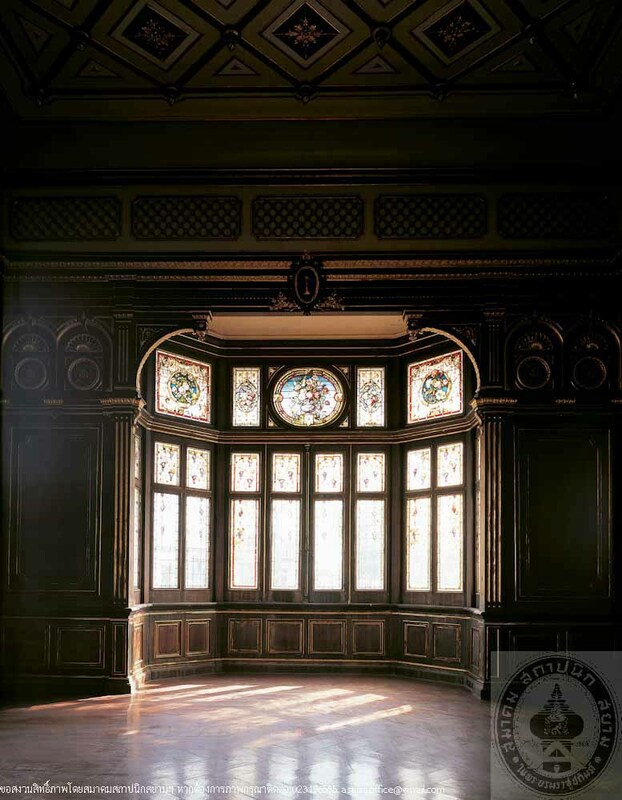 Phlabphla (open pavilion) at Bang Pa-in Railwawy Station is open wooden structure ecorated with fretwork and stained glass in Victorian style. 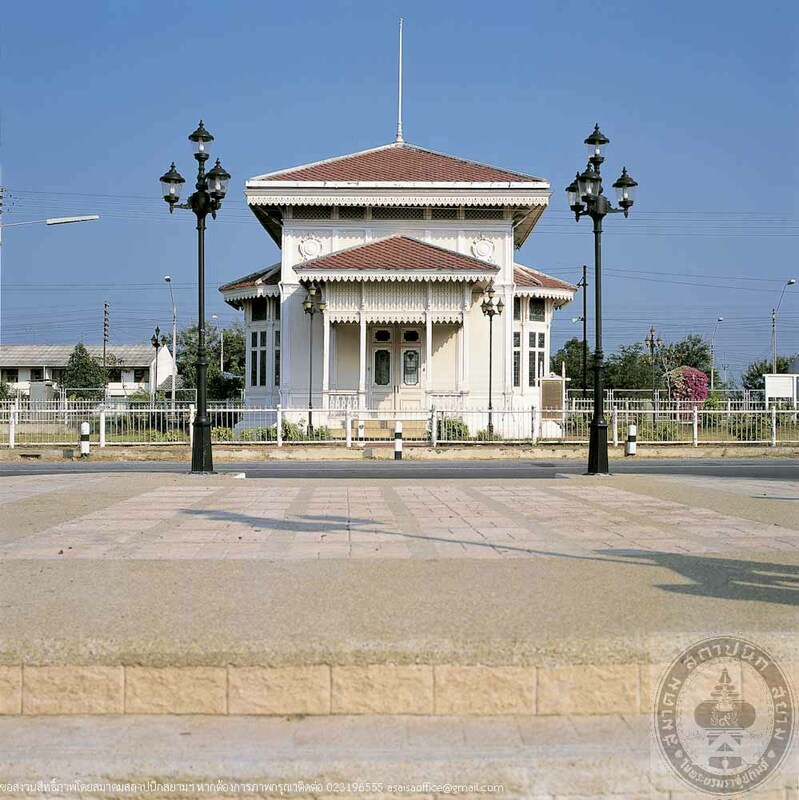 The pavilion was built by order of King Rama V to be used as his waiting room during his train trips to Bang Pa-in Palace. During his reign, the first railroad was constructed from Bangkok to Ayutthaya Station, the King had an official Opening Ceremony of Siam Railway held on 26th March, 1869. Later on the same day, he officially opened the Phlabphka at Bang Pa-in Station. 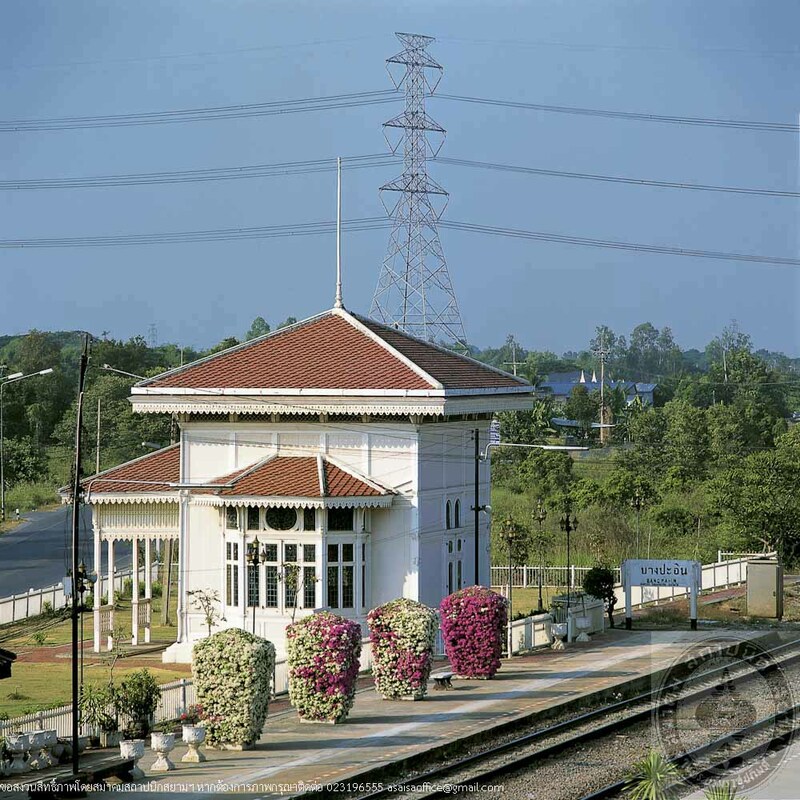 This pavilion has served several member of the royal family, for instance, King Rama V, HM King Bhumbol Adulyadej of the present reign, HM Queen Sirikit, and the prince and princesses during their train trip. 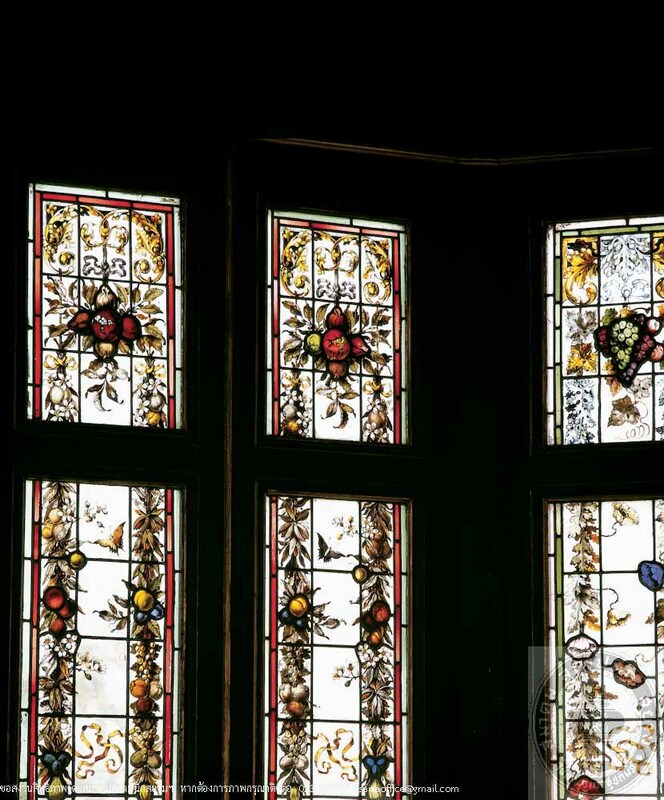 The building is maintained and conserved to the present day.